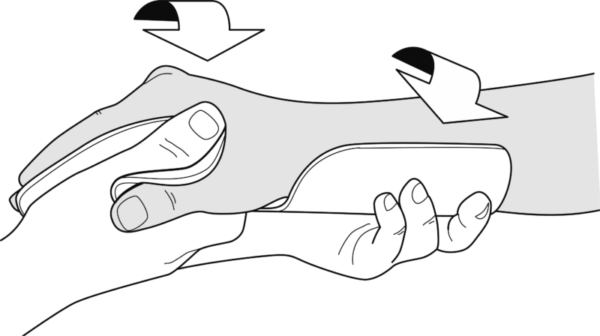 Place the pattern on the temporarily supinated forearm. 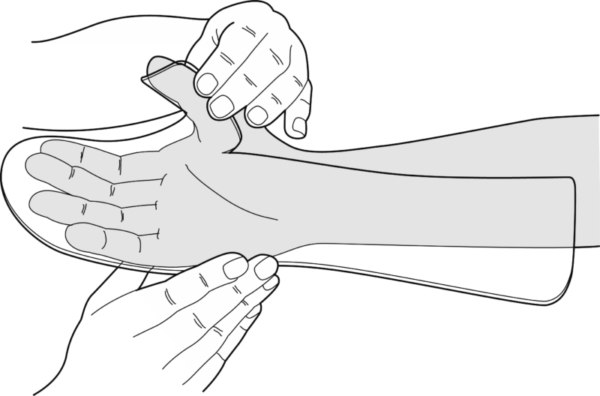 Ensure that the radial edge of the splint lies diagonally. Position the thumb and mould the material around it. 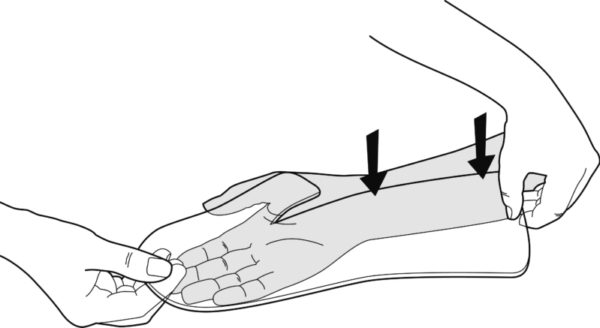 Turn the forearm back in pronation before the material hardens. Finishing: Cut the edges straight and round them off. Provide extra bending of the proximal edge. Fixation: 1 broad strap over the wrist. 1 broad strap over the PIP joints. 1 narrow strap around the thumb. 1 narrow strap at the proximal end.